Match and follow patterns from the cards using colorful wooden spheres, cubes, and cylinders. 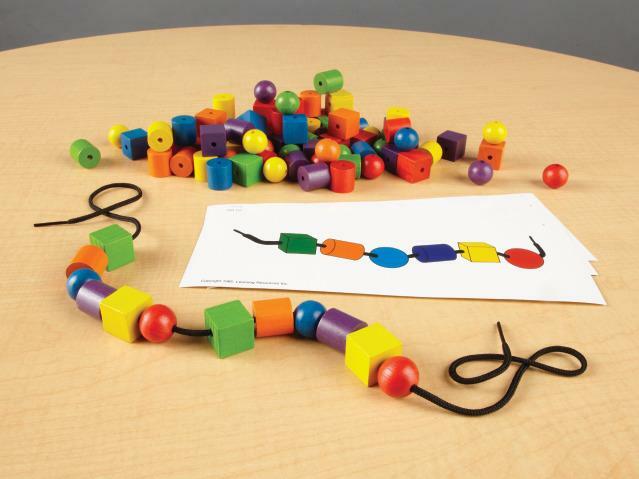 Great for developing motor skills as well as early reading and math skills. Set includes: 20 activity cards, 108 wooden beads in 6 colors, two 36" black laces with 1" plastic tips and activity guide.